The Taos Blizzard (13-25) needed 10 innings on Wednesday to take down the Las Vegas Train Robbers (12-27) 10-7 at Rodriguez Park. With the score tied at five in the tenth inning, Dayron Silva-Perez came to the plate and doubled, scoring Adam Chatman and Alex Fera. Dominic SanFelippo racked up four RBIs on five hits for the Taos Blizzard. He doubled in the ninth inning and singled in the first, fifth, and tenth innings. The Las Vegas Train Robbers had no answer for Enoch Deaton, who kept runners off the basepaths in his appearance. Deaton held the Las Vegas Train Robbers hitless over two innings, allowed no earned runs, walked none and struck out none. 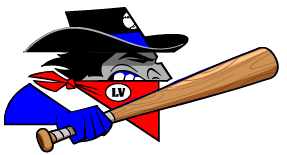 A bright spot for the Las Vegas Train Robbers in the defeat was Olsen, who allowed only three runs while striking out nine. Matt Garlock got the win, running his season record to 1-3. He allowed three runs over two innings. He struck out two, walked six and surrendered one hit. Shane Casey ended up on the wrong side of the pitching decision, charged with his first loss of the year. He lasted just zero innings, walked one, struck out none, and allowed four runs.